After an amazing ADE party Elrow is back at it September 8th 2018 for the first ever Elrow Festival in Amsterdam. Expect the full elrow experience with surreal performances, booming bass-lines, vivid performers, trapeze artists, a whole lot of confetti, nostalgic toys & stilt walkers all combined in one hell of a wacky world. Expect the unexpected and dance your heart out! 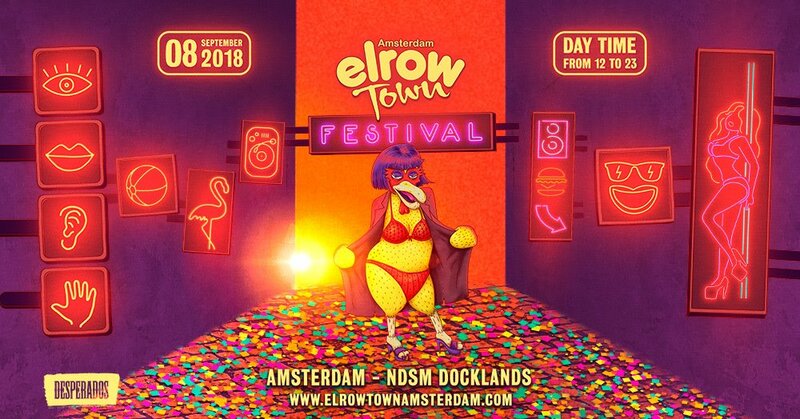 Welcome to the dream that is Elrow Town Festival Amsterdam 2018.